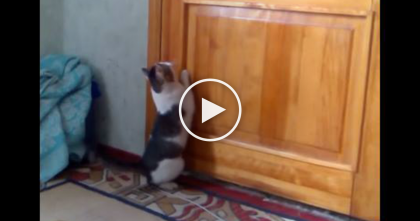 Cat Starts Using A Walker, But When The Baby Noticed… Just Watch What He Does… AMAZING! This sweet kitty knows just what to do and teachers his little human how to walk – they gave this walker to the cat and he started using it. The same day something else amazing happened! The baby saw the cat using the walker and was inspired to try it himself, the rest is just adorable and as you can see, a little example from kitty goes a long ways – how adorable is this?! 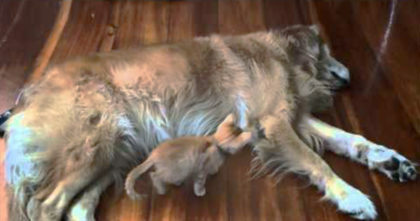 This is SOO sweet, if you enjoyed please SHARE with your friends! 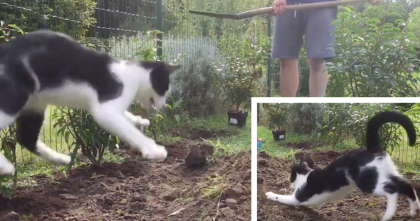 Energetic Cat Turns Gardening Into A Game By Leaping Up And Grabbing Everything He Can.. 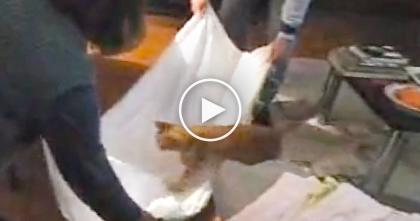 They rescued a ginger kitten, but when they introduced him to the dog…THIS melted my heart! 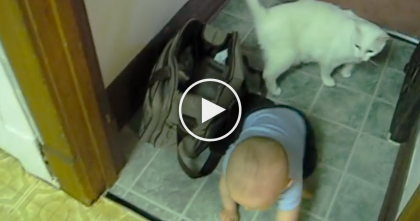 Baby Is Learning To Walk, But Just Watch Who’s Helping Out… This Is SOO Sweet!